The weekend of 10-11 February saw two senior classes take place in Sydney. Hanshi Howard Lipman led a Black Belt class at Turramurra Dojo on the Saturday afternoon. Assisting with instruction were Shihan Peter Olive and Shihan Idir Bahamid. Some basic blocks, strikes and kicks were covered, along with most senior kata. The class finished with some partner drills. It was a hot, sweaty afternoon of Kyokushin training, but everyone pushed themselves hard. Yudansha of Turramurra and Annangrove dojos trained, along with Sensei David Craigie of Young Dojo. 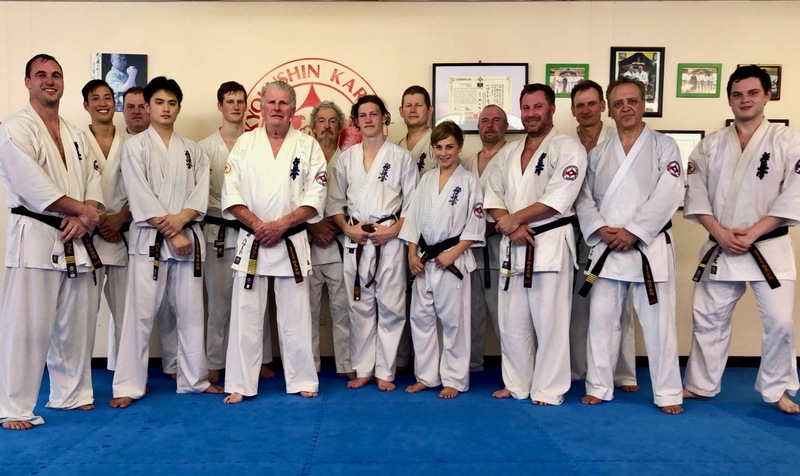 Sensei James Sidwell, Sensei Don Cheong, Stephen Runge, Sensei Ben Ng, Sempai Jason Lambe, Hanshi Howard Lipman, Sensei David Craigie, Bernard Wilson, Sensei Ian Holdaway, Sempai Josh Darley, Sensei Paul Finnerty, Sensei Mark Shelmerdine, Shihan Peter Olive, Shihan Idir Bahamid and Sempai Alex Lloyd. 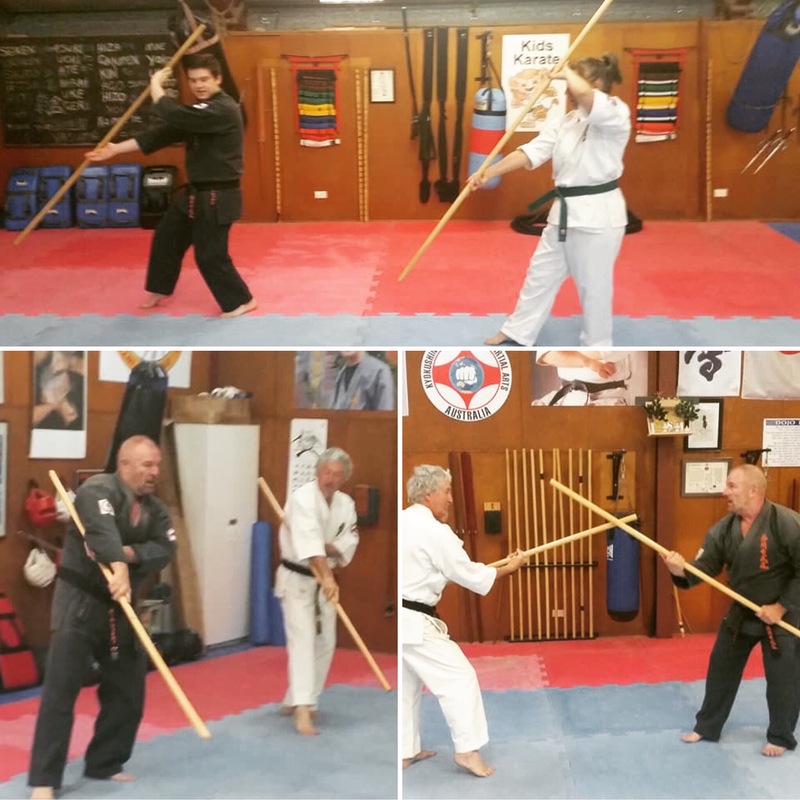 The next morning was the first Sydney Kobudo class of the year, held at Annangrove Dojo. Due to special guests Sensei Dave and Jeanette from Young Dojo, Shihan Rick Cunningham divided the class. Sensei Paul Finnerty and Sempai Alex Lloyd took Sensei Dave and Jeanette respectively for one-on-one tutoring through the first exercise and first kata of the Bo staff. Sensei Mark Shelmerdine and Sensei Ian Holdaway revised various Bo kata and the new Eku kata. Learning basics of the Bo. Both classes are gearing towards the March KIMAA Seminar in Sydney, and the next senior grading in June. Keep up to date with KIMAA events in the calendar.